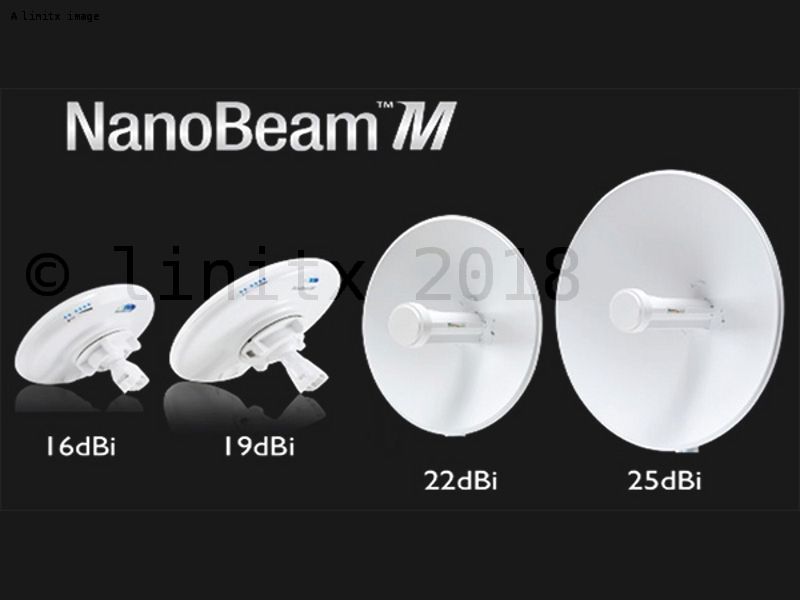 The Ubiquiti airMAX PowerBeam (PBE-M5-400), previously known as the NanoBeam NBE-M5-400, also superseding the NanoBeam range, the PowerBeam M5 revolutionises CPE (Customer Premises Equipment) installs by integrating uniform beam width, faster processing, small install footprint, and a screwless dish reflector design. 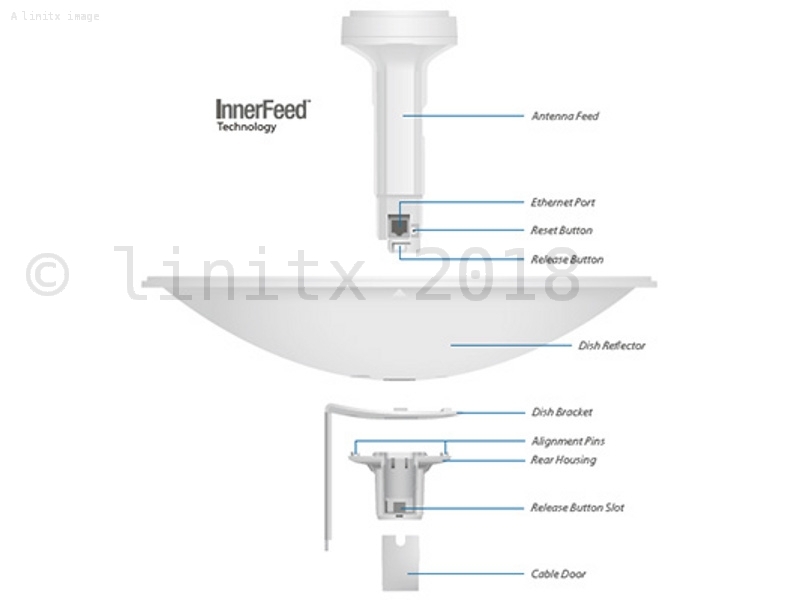 The airMAX PowerBeam M5 uses Ubiquiti�s InnerFeed technology, which integrates the radio into the feedhorn of the antenna, this makes installation much easier as it eliminates the need for cables. The PowerBeam M5 is also capable of PtP (point to point) linking with distances of up to 2Km whilst achieving a usable throughput. The PowerBeam M5 includes a Gigabit 10/100/1000 Ethernet port as standard and is supplied with a 10/100 Ethernet PoE (power over Ethernet) power supply. Customers requiring use of the Gigabit Ethernet port will need to purchase an additional 10/100/1000 PoE power supply or one of the Ubiquiti ToughSwitch range of products. Built-in mechanical tilt The mounting bracket conveniently offers 20degree of uptilt and up to 20 degree of downtilt. Quick assembly The number of fasteners was reduced to simplify assembly. Tools are required only when the technician mounts the PowerBeam on the pole. Dish and brackets Made of galvanized steel that is powder coated for superior corrosion resistance. Redesigned pole bracket for the 400 mm dish and fender washers for the 300 mm dish prevent paint from being removed from the metal brackets for improved corrosion resistance. The PowerBeam M5 directs RF energy in a tighter beamwidth. With the focus in one direction, noise immunity is improved by the PowerBeam blocking or spatially filtering out noise. This feature is especially important in an area crowded with other RF signals of the same or similar frequency. 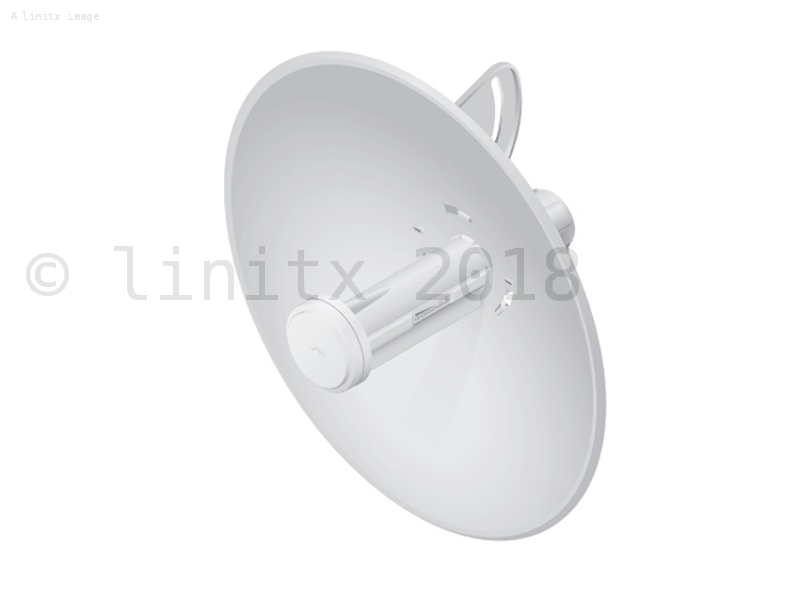 The PowerBeam utilises airMAX technology, which unlike standard Wi-Fi protocol, Ubiquiti's Time Division Multiple Access (TDMA) airMAX protocol allows each client to send and receive data using pre-designated time slots scheduled by an intelligent AP controller. 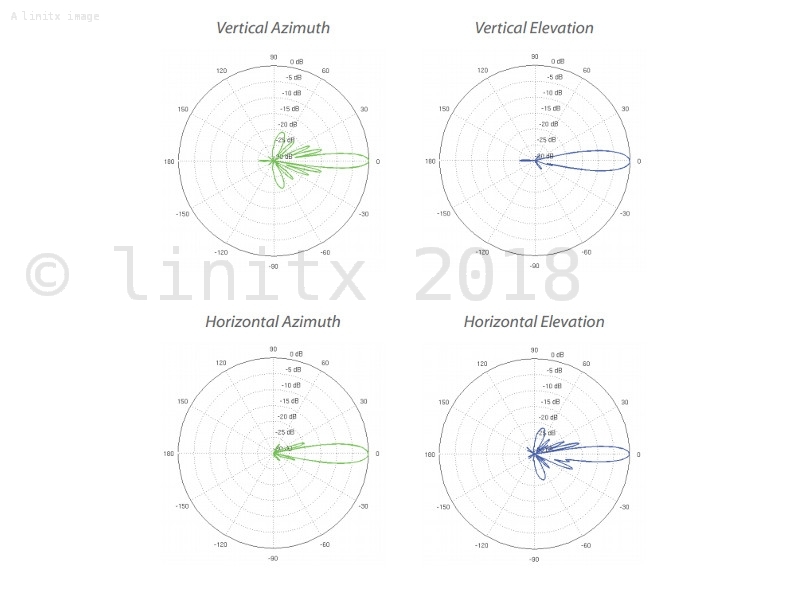 This 'time slot' method eliminates hidden node collisions and maximizes airtime efficiency. It provides significant performance improvements in latency, throughput, and scalability compared to all other outdoor systems in its class. Intelligent QoS Priority is given to voice/video for seamless streaming.